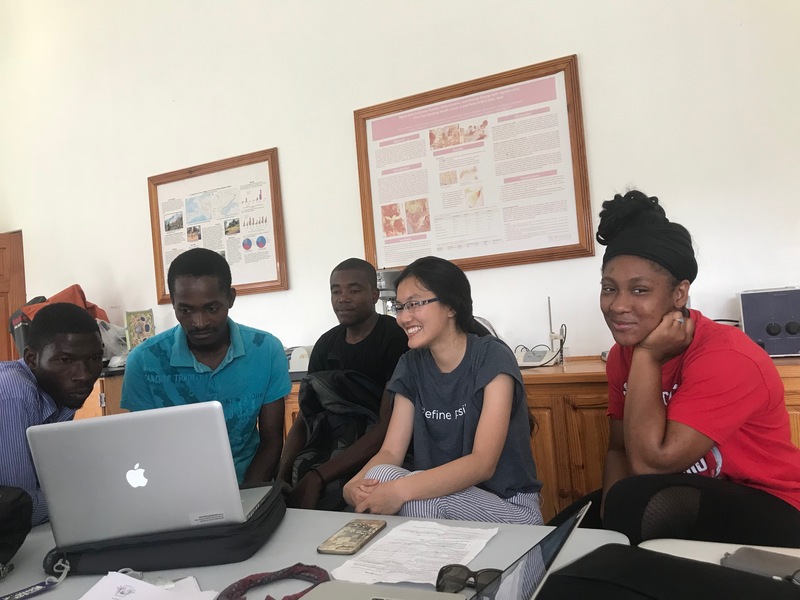 CFFL Interns work with Sewanee students Crystal and Bernice on a survey for Zanmi Kafe. Photo by Deborah McGrath. As Cecelia Ahern once wrote, “Home is not a place. 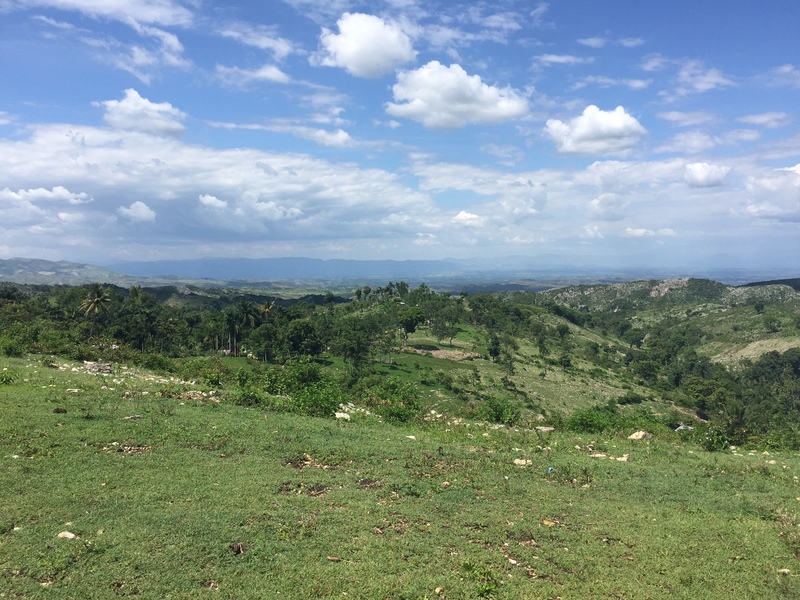 . . it’s a feeling.” No truer words could have described my experience as our group of six traveled to Haiti to begin our journey for the summer. All semester long, we had been preparing for this trip, but as the final days leading up to it approached, my many fears and reservations I had been suppressing finally surfaced. Growing up in a Haitian household, I have constantly been exposed to the language, the food, the music, and many of the cultural customs, but I have never been able to reproduce it myself. For instance, I recognize the meals we have been eating and can understand when others speak Creole quite well, but cooking and speaking it myself… that’s just out of the question. I realized about two weeks out that while I was excited to fully embrace my motherland, I was scared that I would be rejected by it. Amazingly enough, my worries were for naught. Sitting in the terminal in Atlanta and just seeing all the Haitian faces ready to board the plane to Haiti, I felt a buzz of excitement in the air and a connection to all those around me. That sense of belonging only intensified as we flew over the beautiful mountains right before landing in Port-au-Prince. I was finally home. An image from the hike up to Bois Jolie, the community where Zanmi Kafe works with a number of farmers. Since being here, I’ve had many Haitians tell me that we are one in the same or that we are all family because of our shared heritage. They have patiently worked with me on my Creole, and we have even started cooking lessons! It’s been enlightening and humbling to be immersed in my culture while being part of an awesome project. By the time we leave, m’ap palé bon kreyòl et diri pap boulé nan men’m encòre (I’ll be able to speak Creole well and won’t burn rice anymore). 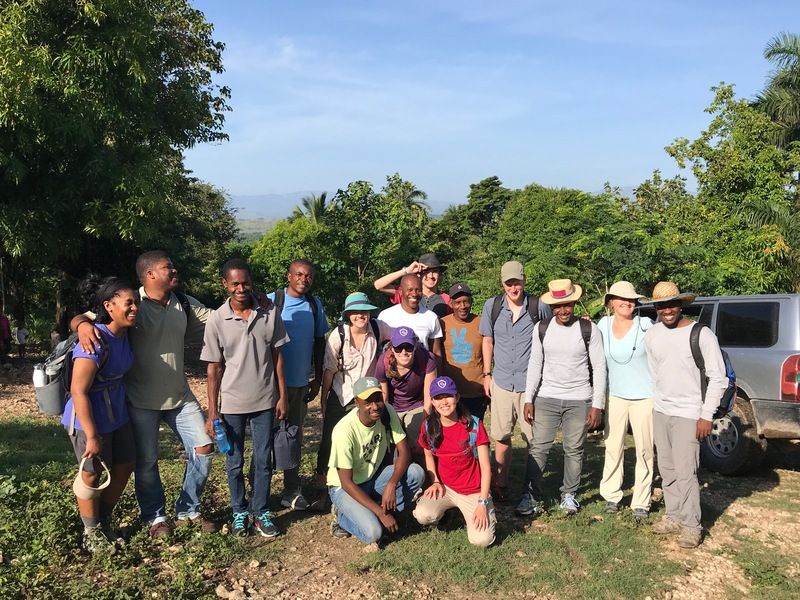 The Zanmi Kafe team (which consists of both CFFL agronomists and Sewanee students and professors) gather for a quick photo after a day in Bois Jolie. Photo by Pradip Malde.